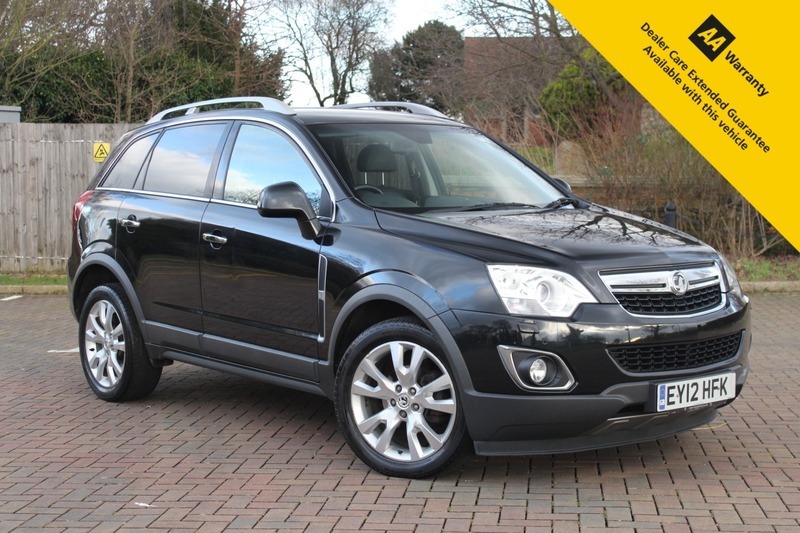 Here for sale at Leigh Cars Ltd we have a wonderful 1 owner example of the popular Vauxhall Antara SE CDTi 4x4 finished in metallic black. The SE model comes with some impressive specification including front + rear parking aid, full leather interior with heated seats, cruise control, electric mirrors with electric folding function, alloy wheels + much much more. This particular 1 owner example from new comes with an impressive full main dealer Vauxhall service history and 2 fully functioning keys. As part of our preparation standards the vehicle has had a thorough safety check along with a brand new service and MOT. The MOT expires on this one in February 2020 and is ready to drive away today! This car is ideal for a growing family as it has an abundance of space and a very impressive boot size. Being a bigger 4x4 vehicle it certainly holds the road well with great seating height and overall presence on the road. It only costs £230 a year to tax and will return an average of 42.8mpg so isn't bad running costs for a large 4x4 vehicle. These 1 owner full service history Antara's with this specification do not stick around long, so book in your test drive today! As we are an AA accredited dealer you will receive 12 months complimentary AA roadside assistance. AA warranty packages available up to 3 years and superb low rate zero deposit finance deals available today. Why not give us a call or visit our website finance calculator to see how affordable your next family car can be. These Ford Fiesta's do not stay for sale for long - Book in your appointment to avoid disappointment. We are rated 5 stars by our customer reviews on Autotrader, Facebook, Google and Car Gurus so you can be assured you are dealing with a company that truly cares about the customer. We take great pride in providing a personal quality service like no other and guarantee to make your purchase a smooth and pleasant experience. Please read our customer reviews online to see what they have to say about the level of service they received from us when purchasing a car. We have recently been awarded with the accolade of Car Gurus Top Rated Dealer 2018 - Buy Your Car From The Best In Essex.